Sydney almost has a pub on every corner so rather than list all the pubs we have limited this page to the best pubs in Sydney. 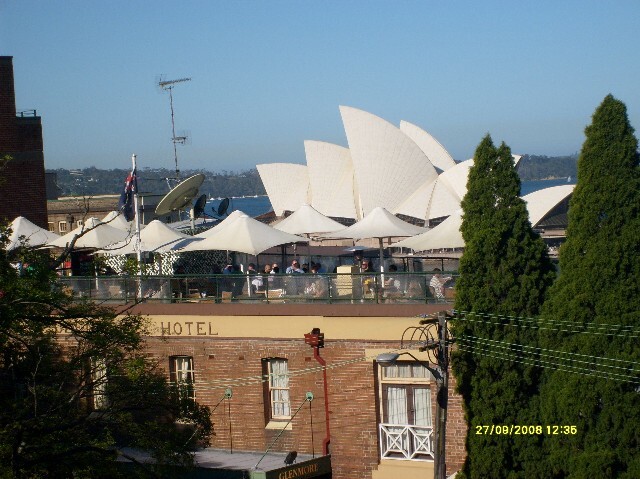 The Glenmore Rooftop Hotel located it the Rocks, is an old traditional Sydney pub with one of the best views of Sydney. Pyrmont Bridge Hotel is open 24 hours a day, perfect for when you are looking for somewhere to drink at 5am or whatever time. Great for watching late night sports like the FA Cup etc. 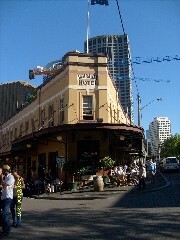 Locally, the pub is referred to as the PBH is right next to the Pyrmont Bridge, Darling Harbour and the Maritime Museum. Serves great food with 2 levels and balconys. Week day steak deals $7 with mash potatoes. Weekends either fish and chips or chicken schnitzel for $12. You must order a drink with these meal deals. Free wireless internet access. 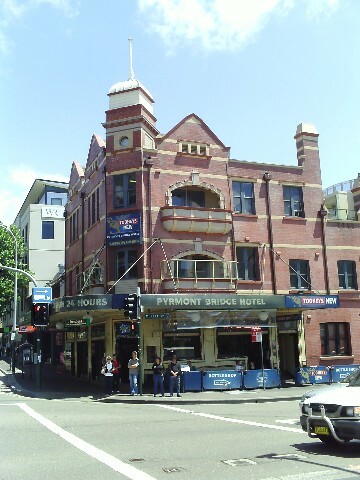 It will be the Pyrmont Bridge Hotel's 142nd Birthday on Saturday 15th September 2012. Join in the birthday celebrations with heaps of live music, food and fun. The Harbour View Hotel - The Rocks Sydney. The Harbour View Hotel was recently renovated with brand new bars and decor. 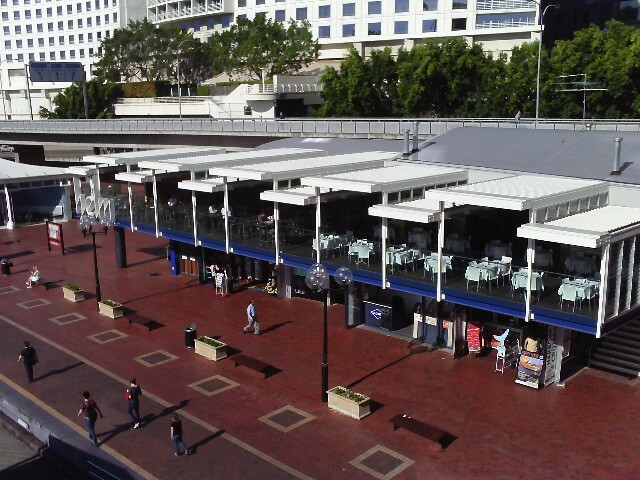 A great pub with views under the Harbour Bridge to the Sydney Harbour. Woolloomooloo Bay Hotel is located at w Bourke St Woolloomooloo over looking the Bay. 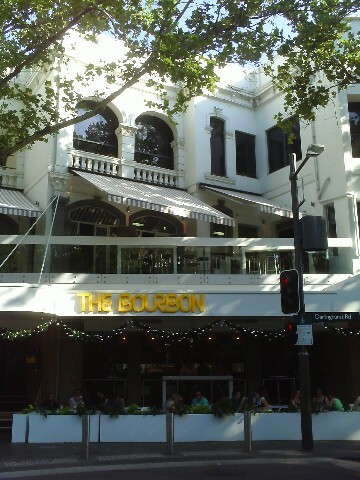 The Bourbon located at 24 Darlinghurst Rd Kings Cross. The Borbon has been serving great drinks, food and fun for over 30 years. Open late. The Australian Hotel is one of my favorite pubs in Sydney. It has a great choice of beers and fantastic pizza as well. Try the Tandoori Chicken pizza. 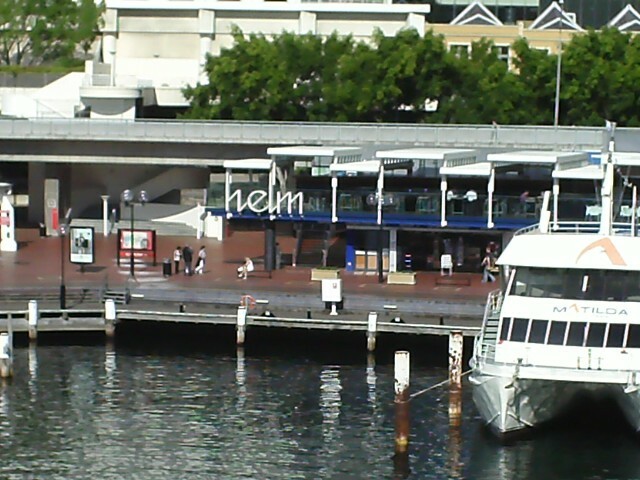 Helm Bar located on the Aquarium Wharf Darling Harbour right next to the Sydney Aquarium and Pyrmont Bridge. They serve great food and drinks with a great view over the water. Wednesday and Thursdays they serve all you can eat muscles for $19.95. Lunch menu for meals under $10. This places get busy Friday nights with the after work crowd with a DJ playing with lots of dancing. 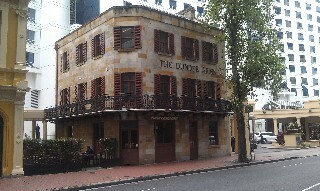 The Dundee Arms Hotel 161 Sussex Street Sydney Ph: 9290 4794. 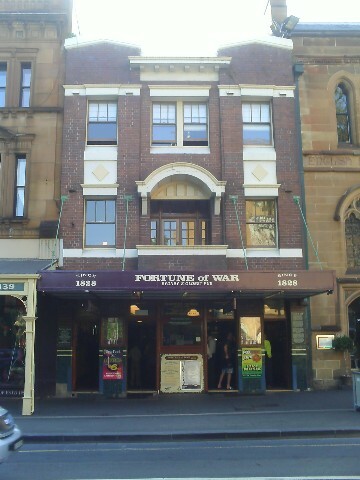 A traditional English pub located in the heart of Sydney city. Cargo Bar is a bar/nightclub located in King Street Wharf close the Sydney Aquarium. Wednesday all day and night they have Baby Back Pork Ribs for $16.50. Pontoon Bar is located in Cockle Bay with views across to Darling Harbour. Lunch menu with meals under $10. 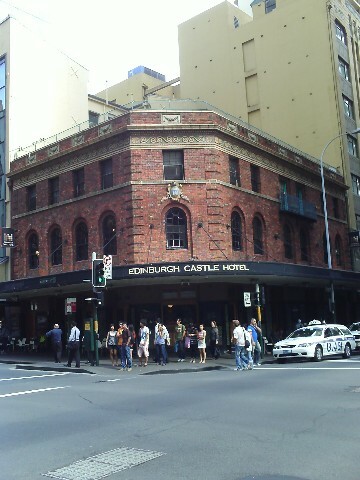 Edinburgh Castle Hotel located at 294 Pitt St Sydney just down from Hyde Park. Serves lunch and dinner pub meals - burgers, fish and chips etc. The Argyle 18 Argyle St The Rocks one of the original drinking pubs of Sydney with colonial architecture.